Imperial Gem Lab has been providing the highest standard of jewellery appraisal service for the past 36 years. Please read our testimonials and contact us if you have any questions. Imperial Gem Lab was an educational and very great experience. Harold is professional, friendly and knows what he is appraising. I left confident knowing I received the right information. I also liked that I could sit and watch my ring being appraised and ask questions. The price was reasonable for his expertise. Harold is very professional. He knows what he is doing. I could trust his work.The price was reasonable. Have you recently had a jewellery appraisal with us? 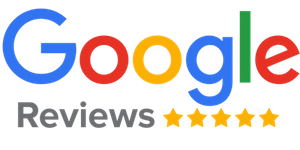 We would love if you could leave us a review! Harold is extremely helpful, knowledgeable and professional. He takes the time to carefully examine your piece and has the experience and qualifications to back up his appraisals. Would highly recommend him! Harold is an extremely professional, experienced, and friendly individual. I have returned many times in the past three years for his appraisal service. Harold is knowledgeable with the gemstones, diamonds, rare metals and gives very accurate representations of the pieces. Harold takes the time to carefully examine each piece, captures high quality photographs, and provides accurate value of the jewelries. I am extremely thankful for Harold’s reliable service and will continue to return for appraisals in the future. If you are looking for a professional appraiser to issue a credible and accurate appraisal for your jewelries, I highly recommend Harold. Need more information on how to get an appraisal report for your jewelry or diamonds? Imperial Gem Lab is a specialist Gemologist Appraisal company based out of Vancouver, BC. Sign up to our newsletter to be in with a chance to win a free appraisal certificate.